All the junk and clutter that builds up in your home or office can be tough to deal with. There can be so many items that will take up all your free space and it can be difficult to try and remove all of them. You need to take out the items, transport them and have a suitable place to take them to. You don't need to worry about this in Welling, though, because Handy Rubbish can help you. We are the leading Welling DA16 rubbish clearance firm that will clear all of your junk from your property. Contact us today on 020 3540 8282 to find out more. We can assist with all types of Welling waste removal DA16 at your property. We can send our team to your DA16 address whenever you need us to and they will tackle all the work. Our staff will sort goods with you, remove the unnecessary items from your building, load everything onto our vehicles, and transport things away to be disposed, destroyed or recycled. We work with you to give you Welling rubbish disposal support you need and we pledge that we will dispose of goods properly and legally every time. 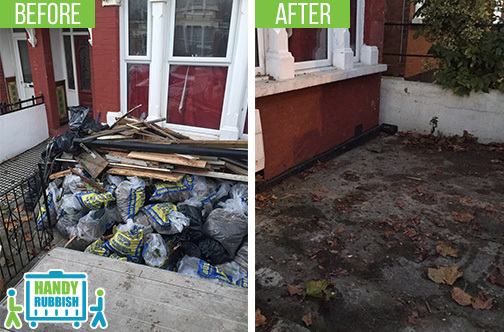 Call 020 3540 8282 now and you can learn more about our rubbish removal Welling DA16. We can send out our team as soon as you need them to collect your old chairs, tables, cabinets, cupboards, drawers, wardrobes and more. Our staff will carefully remove these items from your address, ensuring no damage comes to your building. We will take things away to be disposed, so that you don't have to. We will remove the old items, so that you have the space you desire and a cleaner abode. Managing furniture disposal can be difficult and even dangerous if done haphazardly, so let us take care of it. Placing goods in your attic so that they are out of the way can be convenient, but after a while it can become a problem. If your loft is full, and you want to convert it, clean it, or whatever, you need to clear the junk first. We can send our waste collection DA16 team to do it. They will work carefully, getting any or all items out of your loft. Our loft decluttering team will ensure no damage or injuries occur, and get the job done swiftly. Your waste clearance Welling will go well and we guarantee you will have the space you need without the hard work. If you act now and call Handy Rubbish on 020 3540 8282 we can give you the best deal on your waste disposal in DA16 area. Our free quotes allow you to book the services you need and you will get the lowest prices. You only agree to an offer you like and you get to see the cost upfront. We will give you all the info you need on our waste removal services and answer any questions. So, for a cleaner home in Welling, get in touch with us today. Hired their rubbish disposal service in Welling DA16 and received a cheap but first class service! What is there to Know about Welling? Welling is a town in South East of London and a part of the borough of Bexley. For many years, the area acted as a resting spot for travellers but it came into its own with the introduction of the railway. The Library is a prominent spot in the area today, providing a wide range of facilities. Welling FC are the local football club and play at Park View Road. The local shopping areas are abundant. A Russian cannon from the Crimean War is a local landmark. Over the past several years, improvements have been made to enhance the town. 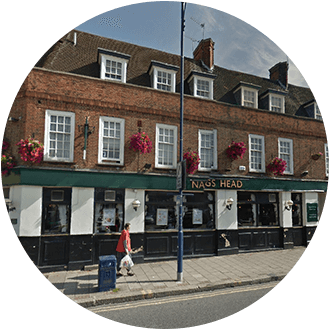 Some nearby places include Barnehurst, Bexleyheath, Crayford, Falconwood and Woolwich.